Raising money to provide mental health care to anyone in need, regardless of ability to pay. 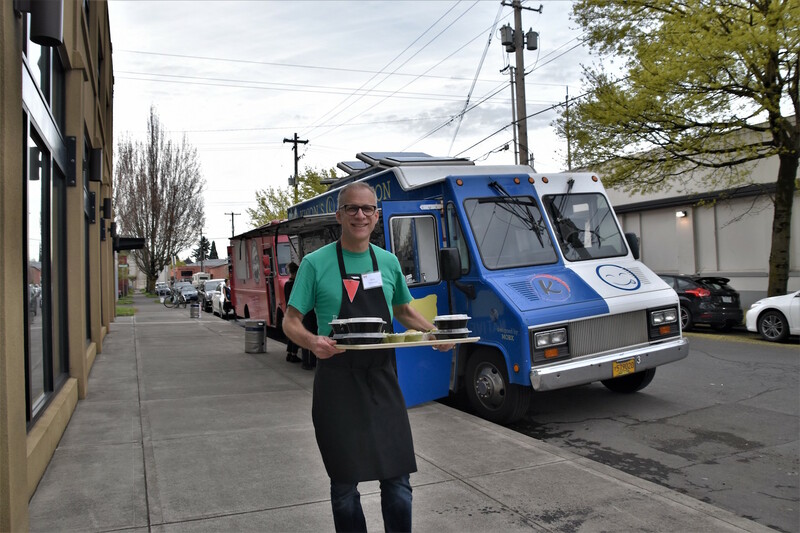 NCC therapist, Alan Rutherford, serving food for guests. To kick off the evening, guests enjoyed an on tap selection of Lagunitas beer and a variety local wines. Appetizers were served while guests purchased raffle tickets. Lucky winners went home with prizes such as a one week stay at a private beach house, a weekend at the Running Y Resort, and a stash of cash! Two local food trucks, Koi Fusion and PDX Sliders, provided the main entrées. And last but not least, Mary Beth Lynn provided delicious cookies, lemon tarts, and fruit parfaits for dessert. 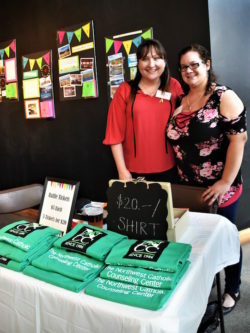 Volunteers Marchelle Carl (left) and Nicole Crowe (right) selling raffle tickets and NCC t-shirts. Later that evening, guests heard from Mary Tobin, the mother of a former client of the Center. Mary’s son came to NCC as a young child, when he first started experiencing symptoms of anxiety. As Mary told her son’s story, she relayed the impact the Center had, not just on her son, but on their entire family. Through counseling, Mary’s son learned how to manage living with anxiety and depression. He is now a thriving college student and a vocal mental health advocate. 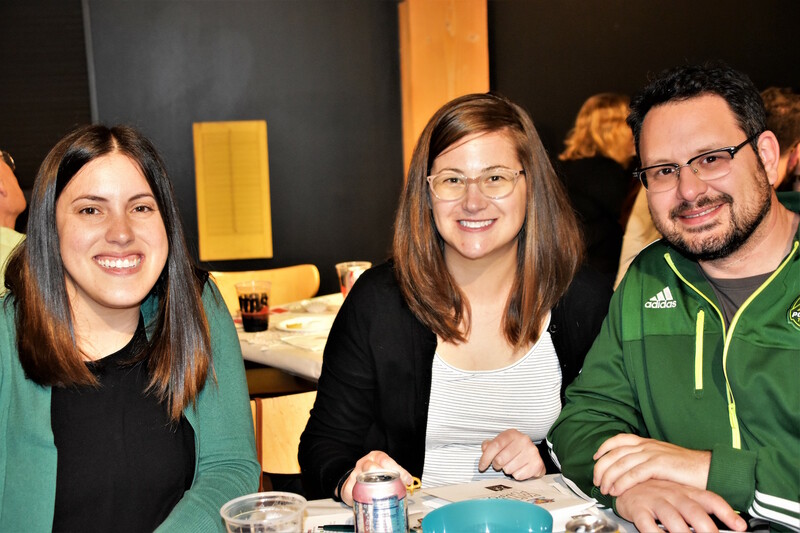 As highlighted by Mary, what sets The Northwest Catholic Counseling Center apart from other organizations is its commitment to individuals who are without insurance or with limited financial resources. In its 32 years, NCC has never turned anyone away because of an inability to pay. Some clients pay as low as $5 per session. 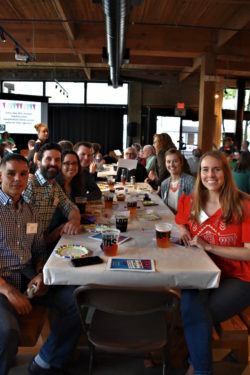 Guests from St. Mary’s Cathedral enjoying beer and appetizers. 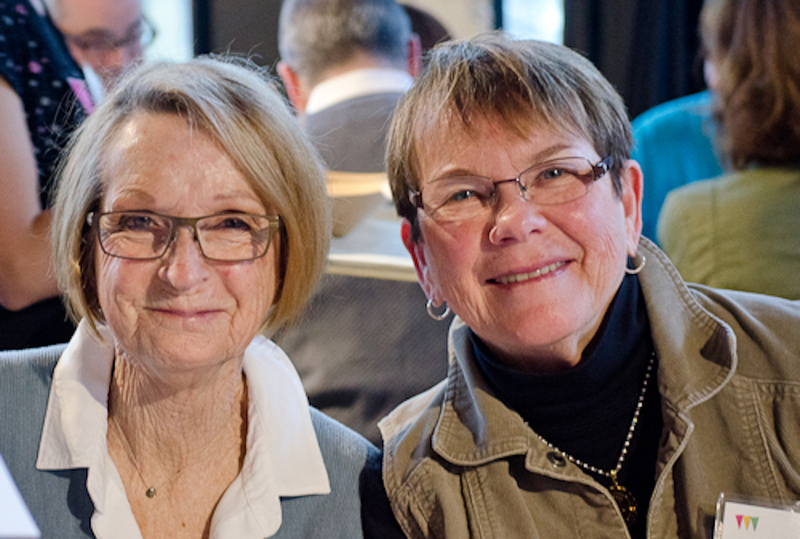 Offering quality, affordable counseling services would not be possible without the generosity of NCC supporters. The event raised nearly $50,000! A huge thank you to the event sponsors, Alpha Media, Magnacorp, and Glen and Monet Rubin, and to the hundreds of individual donors who gave! Every dollar will go directly to cover the costs of counseling for those who have previously and unjustly been denied access to mental health services. 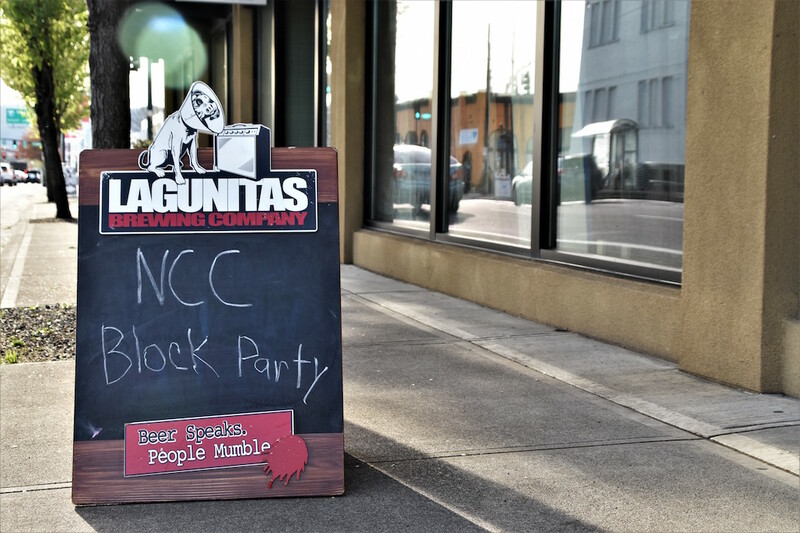 The experience of an NCC event, such as the 2018 Block Party Fundraiser, is hard to capture with words alone. There is a unique energy, formed by the sense that we are a part of something greater than ourselves. If you ever find yourselves at one of our events, you will find yourself wrapped in a sense of belonging, the same feeling that welcomes NCC clients every single day. Whether you were able to attend, volunteered, or gave a donation—thank you. Miss the Event? 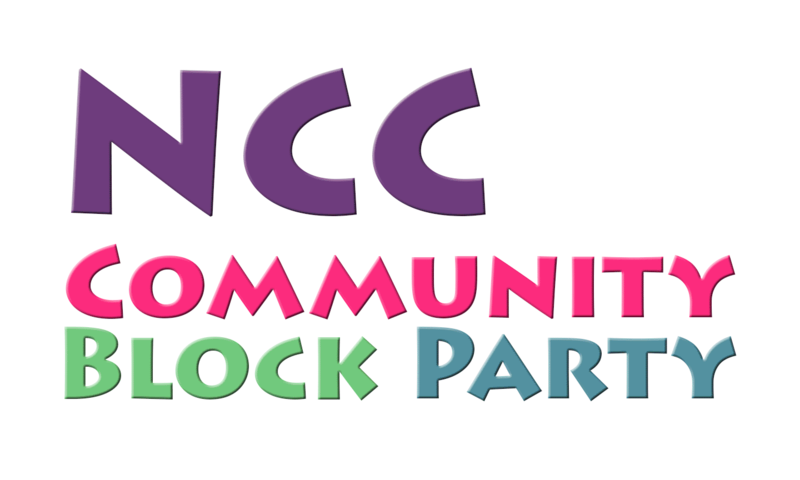 Watch Some Block Party Videos!